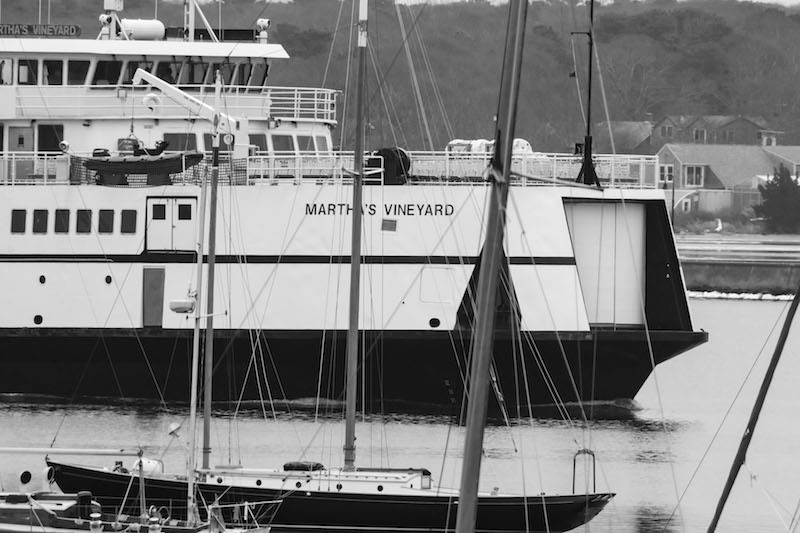 Transportation will be provided to the Saturday meeting for Vineyarders who take the 7 a.m. ferry to Woods Hole. Communicating with passengers has not been a priority for the Steamship Authority, and that needs to change, according to a long-awaited independent report released Friday afternoon. Poor planning and a lack of protocols have led to a widely held perception that the boat line avoids transparency, although “no evidence emerged that the SSA actively withheld information,” write consultants from the marketing specialist Rigor Analytics. SSA governors are holding a special meeting at the Hyannis terminal Saturday morning to discuss the report, with a video presentation by HMS president John Sainsbury. The 25-page report on the SSA’s public communications comes nearly two months after the rest of a $218,000, comprehensive review by HMS Consulting, which examined the boat line’s fleet maintenance, vessel operations, information technology and management structure. Unlike the other four areas of the HMS report, the communications review did not start from any specific incident or breakdown. Instead, consultants looked at all the ways the SSA interacts with its passengers, from terminal signs to digital alerts. Currently, the boat line has no signs telling passengers where to board ferries or buses, or to announce delays. The Rigor report recommends better static signs, well as LED boards in terminals to inform travelers of the latest departure and arrival times. The SSA also lacks a defined procedure for issuing alerts when service is disrupted. “It was noted that the internal email system used to send messages from the vessel to shore is slow and has intermittent connectivity. As a result, marine personnel onboard the vessels with communication duties primarily utilize mobile phones and two-way radios to update terminals and ticketing agents regarding system delays, thus leaving some operations staff out of the communications loop at early critical stages. Interviews with SSA employees revealed events in which the operations staff were notified well after event occurrence,” the report says. Onshore as well, “the SSA messages the public using a communications system that does not reach all of the desired audience,” consultants said. Along with using social media networks, which the boat line had generally disregarded until this year, the report advises that when selling tickets, the SSA should collect travelers’ contact information for text messages. In addition to establishing a clear procedure for communicating routine delays and disruptions, the consultants also recommend that the SSA plan for the worst by hiring a public relations agency to develop a crisis communications plan that covers a range of adversities. “Whether the event is a simple cancellation due to weather, or a collision with casualties, ensure the safety and concern for passengers and crew is always stated up front in each communication to let the public and employees know that they are the priority in any situation,” the report advises. Free transportation to the Saturday meeting will be provided from Woods Hole to Hyannis by shuttle bus. The bus will meet Island passengers arriving in Woods Hole at 7:45 a.m. and return them to the terminal after the 9 a.m. meeting in Hyannis. The presentation of this already-overdue part of the SSA review is an apt demonstration of the inability of the SSA to communicate. A trenchant comment I read yesterday about this meeting: "Last minute announcement on meeting about improving communications to be held at inconvenient time at inconvenient place. Sounds like the SSA is really working hard to improve their communications with the community." Let the current SSA regime prove it cares about customer service. I've traveled the world. The SSA is a joke when it comes to informing passengers. It's cultural and deeply ingrained in the current SSA leadership. Last summer a friend of mine had a ticket to get off island and was not informed about the race that was happening which was blocking normal traffic out of Woods Hole into Falmouth until she happened to check the website the night before. Seems like a very ineffective way to communicate possible disruptions in transportation.